Sprint's BlackBerry Curve 8350i | BlackBerry Blast! The RIM BlackBerry Curve 8350i is finally getting viewed. 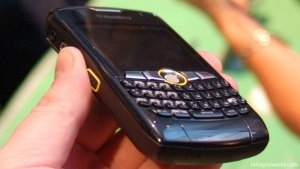 This is a BlackBerry Curve for Sprint Nextel's iDen network. It has the Curve shape but is a little thicker to accommodate the radio for Nextel's walkie-talkie. With all of the new BlackBerry devices that are coming out like the Pearl 8220 Flip, and the BlackBerry Storm, this news is a little boring. Expect to see this 8350i in December.